श्री हिंगलाज भवानी मंदिर (Shri Hinglaj Bhawani Mandir) inaugurated with the blesses of his holiness Shri Jagadguru Shankaracharya Swami Swaroopanand Saraswati Ji Maharaj Shankaracharya of Dwarakapeeth Dham in the Gujrat. 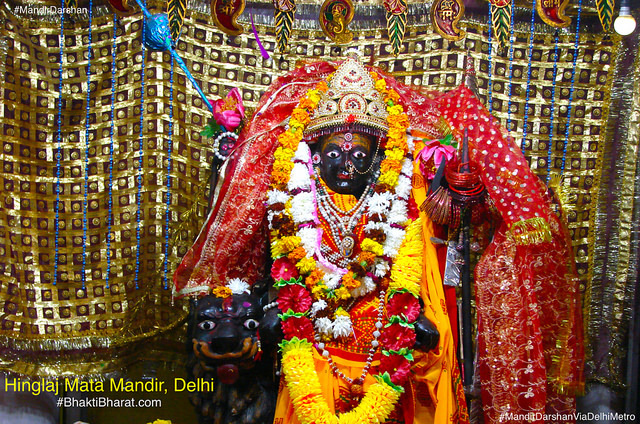 Thousands of devotees visit every year and people strongly believe that fulfills the wish of every devotee who visits Her. Only Temple of Maa Hinglaj in North India. Monthly VHP Meeting Organized on First Tuesday of the Month. दिल्ली NCR मे माता के प्रसिद्ध मंदिर! 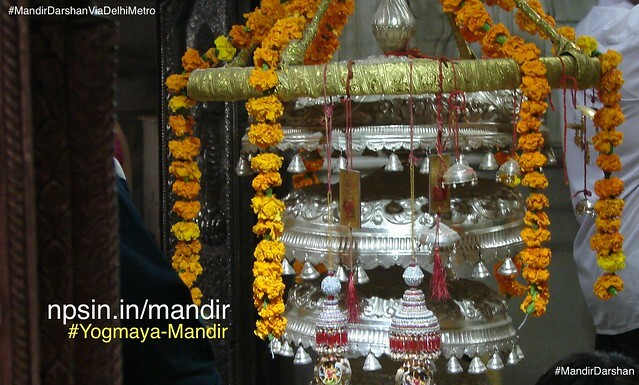 | जानें दिल्ली के कालीबाड़ी मंदिरों के बारे मे! "माँ कालरूपणि। महाकालि, भण्डासुरदैत्सहन्त्रि। महाकालि। महासरस्वति। राजराजेश्वरी। हिंगुलामाँ। असुरविनाशनि देविं दिगदिंगत भदी हुकार करके भारत के आन्तरिक और बाहरी शत्रुओं का संहार कर दें।"
"माँ दुर्गे। आप हमारी देह में योगबल से प्रवेश करें, हम यंत्र और अशुभ-संहारक प्राण बनें।"
जगदधात्रि। अपनी अनन्त शक्तियों के साथ भारत के दिग् गिन्तों पर अवतरित होकर असुर आततायियों आतंकवाद से इस देश और दशवासियों की रक्षा करें। रक्षा करें।" "पाहिमाम"
Only Mata Hinglaj Mandir in Delhi, original mata mandir situated in Pakistan. 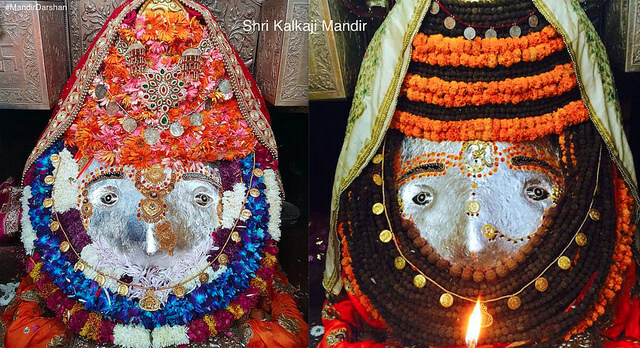 Dakshin Mukhi Shri Hanuman Ji murti in Hinglaj Mandir. 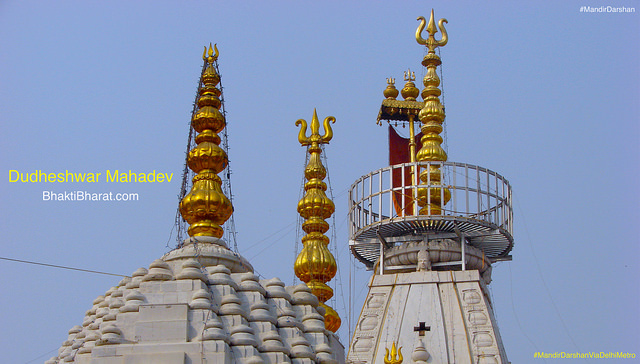 Front view of the temple after walking upstairs towards Swami Dayanand Marg near Hasanpur Depot.